Song of a Treetop Bush Katydid (scroll down for explanation and additional recordings!). 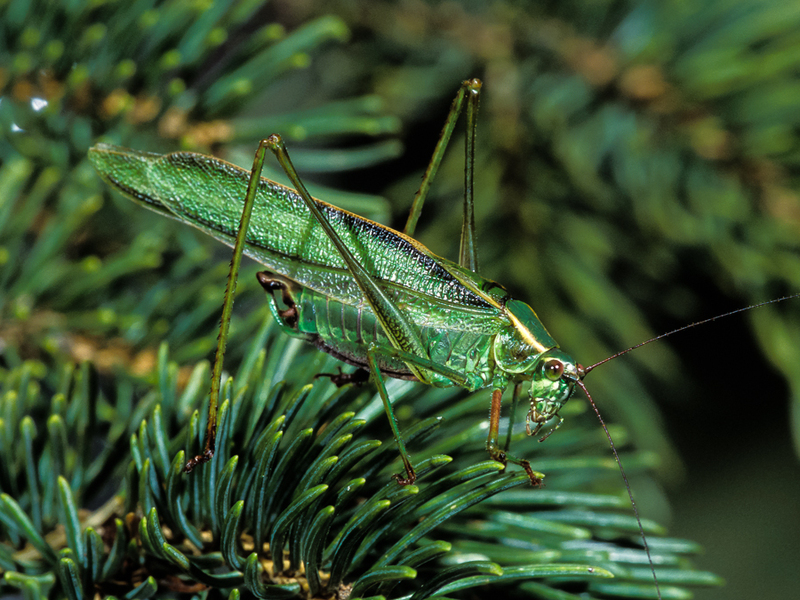 As its name implies, the Treetop Bush Katydid is an arboreal specialist. It prefers coniferous stands, but may also be found in deciduous trees and shrubs. This gorgeous katydid has deep green upperparts and a striking pattern of purple and white on the underside of the abdomen. The upper edges of the forewings are accented with black, and the distal portions of the legs are tinged purple or dark brown. 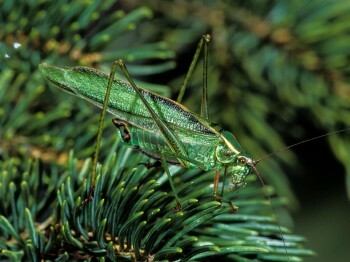 Treetop Bush Katydids are difficult to observe unless found in a patch of young trees where they are low enough to see. 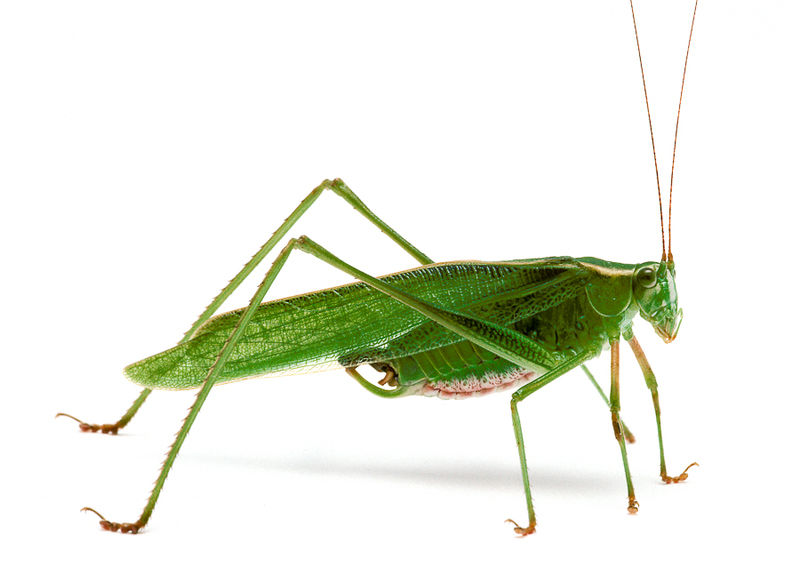 Song: The most common song is a simple, abrupt tsip at about 15 kHz that sounds identical to the song of the Fork-tailed Bush Katydid. The two species are best told apart by comparing collected specimens. 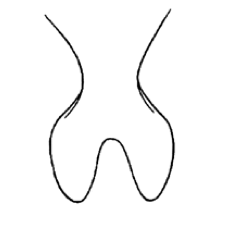 Another less common call is a grating zzzit. Sonogram of a Treetop Bush Katydid. © Wil Hershberger.